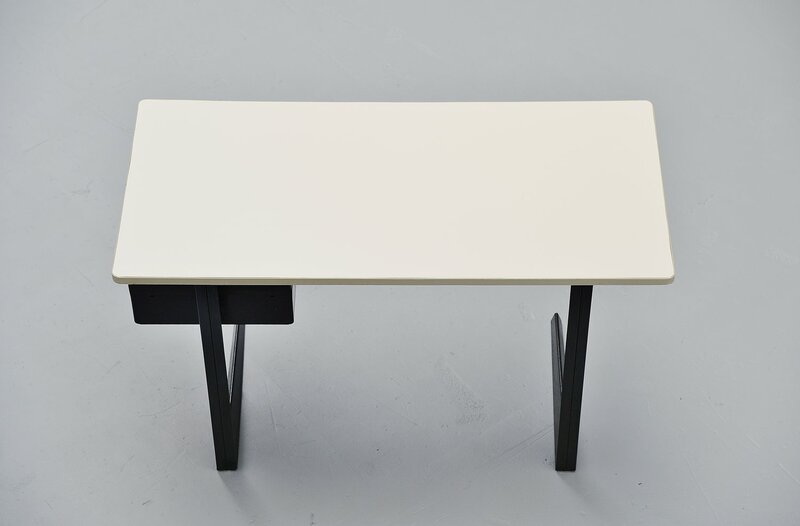 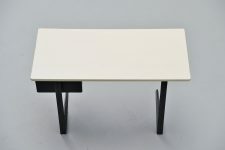 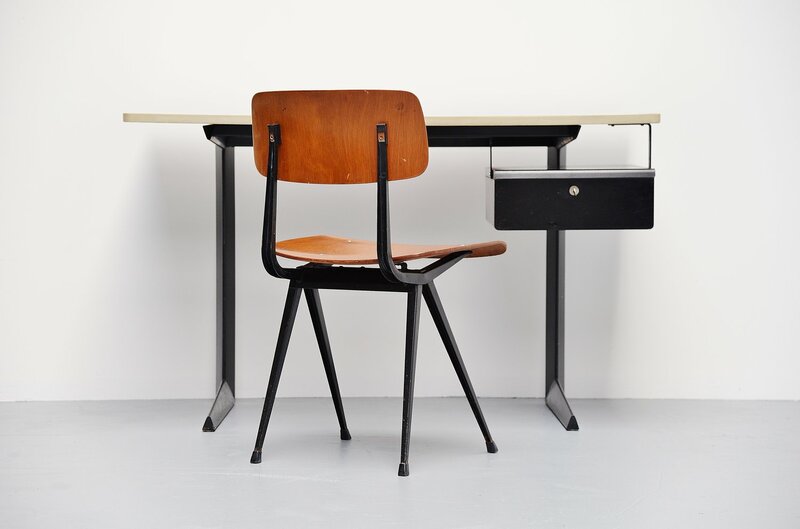 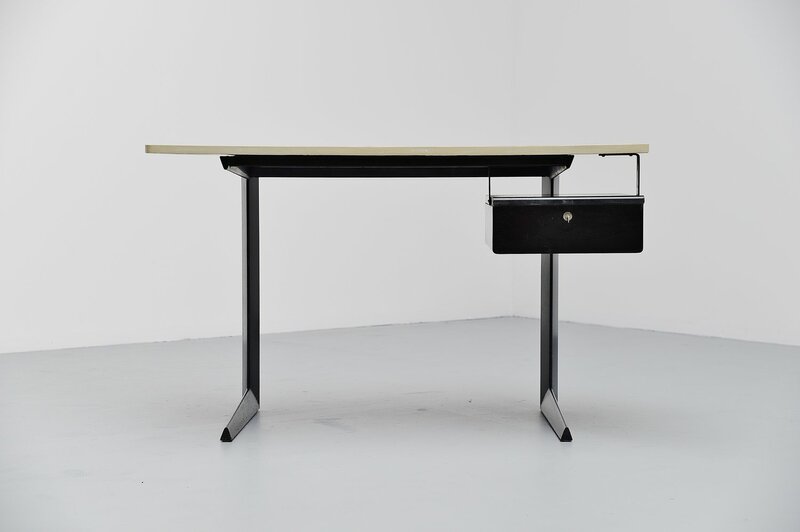 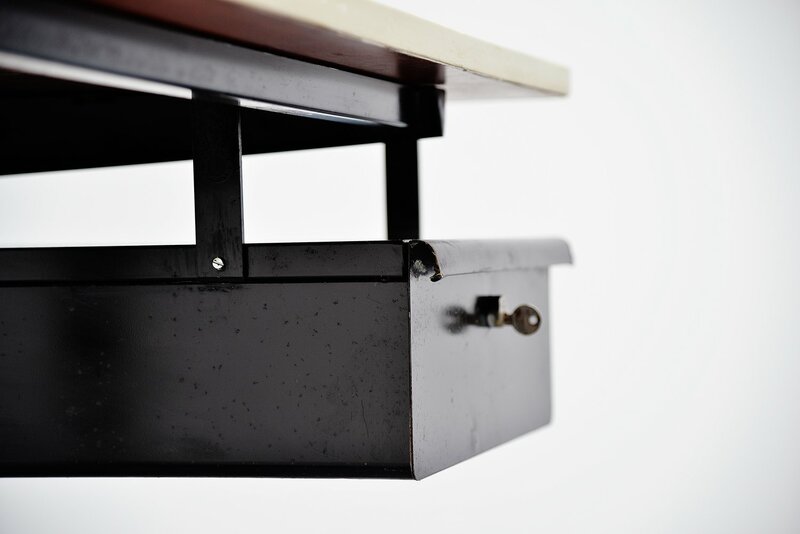 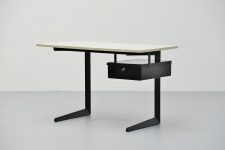 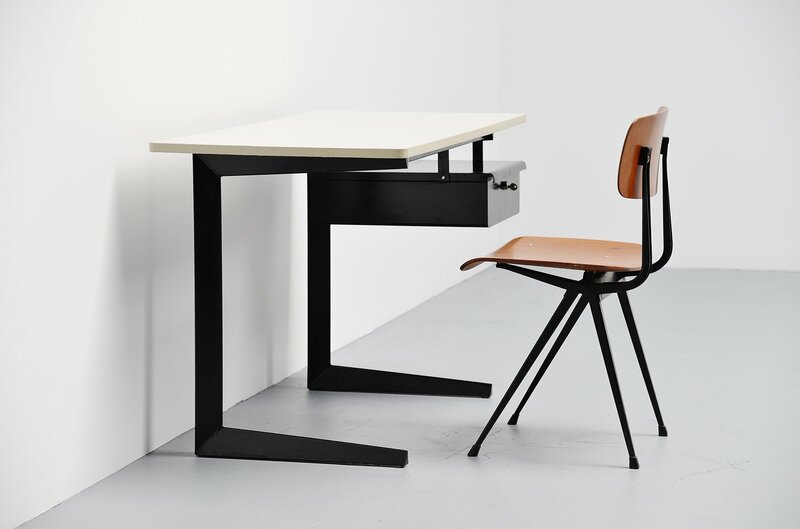 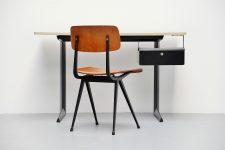 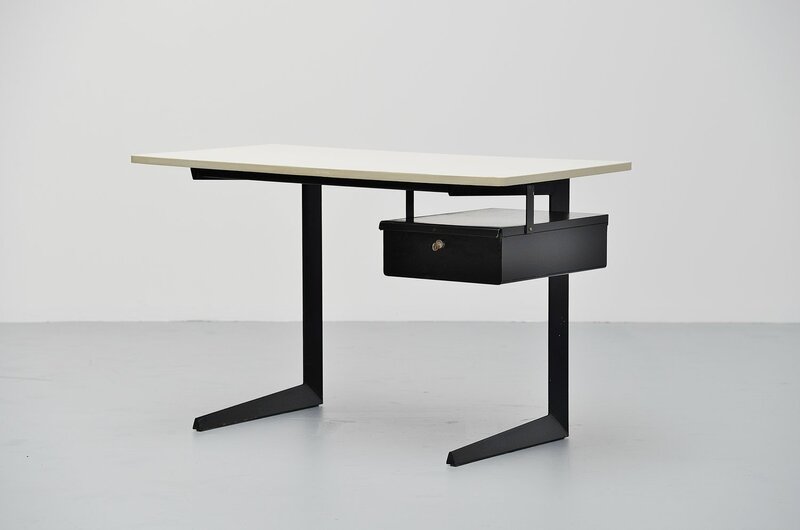 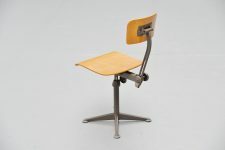 Nice and rare industrial desk designed by Friso Kramer for Ahrend de Cirkel, Holland 1958. This desk is the first edition with super shaped feet. This desk is a very hard find cause this was designed as teachers desk and there weren’t many of these around, only 1 was needed in every classroom. This has a heavy folded steel frame with one drawer which is ended in perfect efficiency. 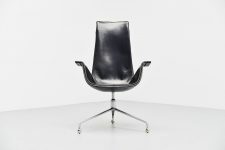 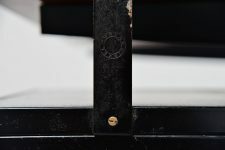 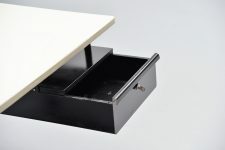 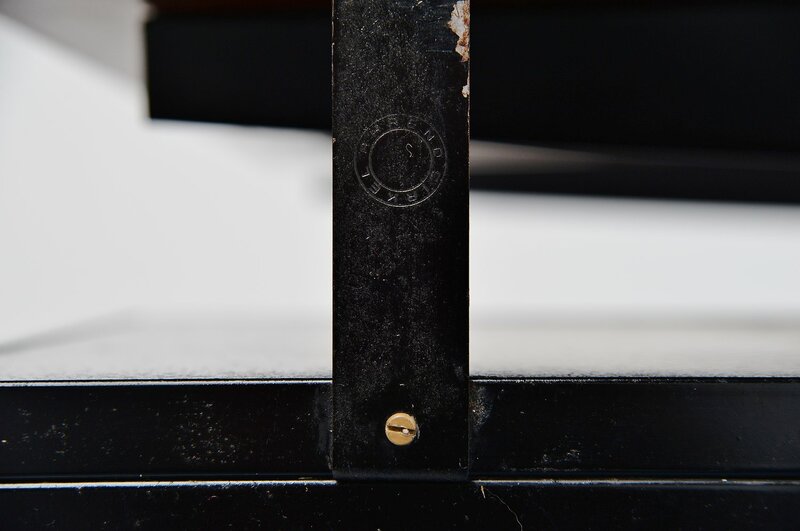 It has a white refinished top and an original black lacquered base in original condition with surface wear! 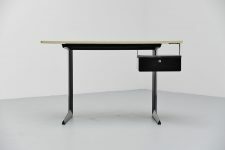 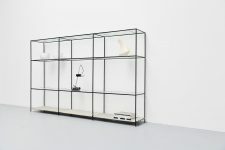 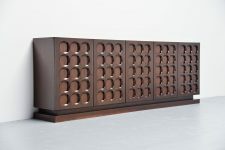 The desk won, like a lot of designs by Friso Kramer, a Signe d´Or for its functionalism and design in that period! 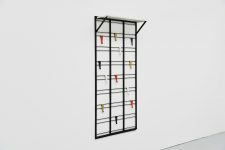 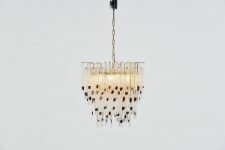 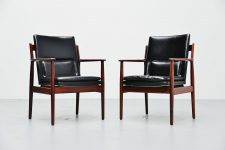 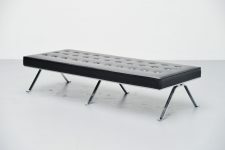 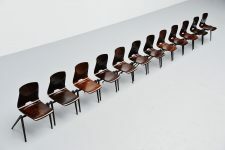 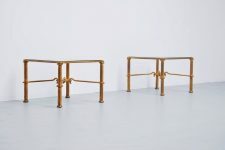 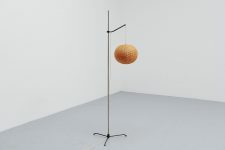 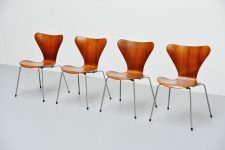 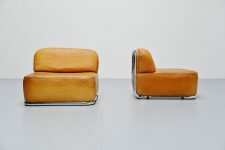 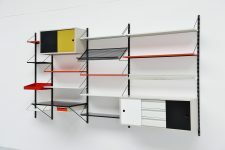 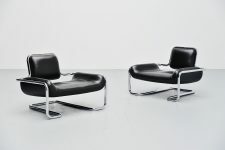 Would look great in any mid century modernism design interior!